Dr. Roger Clark has been doing professional digital and film imaging since 1976, using some of the first digital cameras then, to state-of-the-art digital imaging systems today. From laboratory to field, Roger studies solid surfaces. Here studying glaciers. Astronomical Observing at professional observatories and with NASA spacecraft. Above Roger is at the U. Hawaii 2.24-meter telescope, Mauna Kea, Hawaii. Photographing low on the Serengeti. Dr. Roger Clark earned his Ph.D. in Planetary Science at MIT in 1980. Roger's expertise is in identifying and mapping minerals and other compounds on the Earth, other planets and their satellites using imaging spectroscopy. 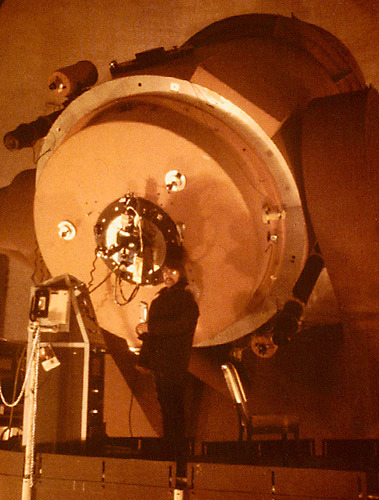 He develops laboratory, telescopic and spacecraft spectrometers and imaging spectrometers. He has published over 300 scientific papers, including papers on every planet in the Solar System. His research includes discoveries of the compositions of planetary and satellite surfaces and mapping the locations of minerals on the Earth and planets. In 2009 he discovered widespread water on the surface of the Moon. He also publishes on environmental issues on the Earth, such as ecosystems in Yellowstone, led the USGS environmental assessment of the World Trade Center Disaster and developed a new method for measuring the amount of oil on the ocean's surface and leading to the first quantitative assessment of the amount of oil on the ocean's surface in the 2010 Deepwater Horizon, Gulf of Mexico oil spill. 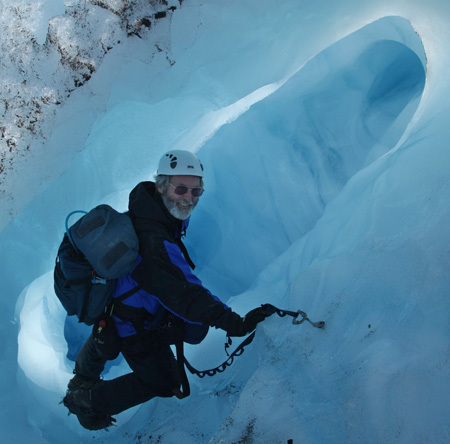 Dr. Clark was a Senior scientist (ST) with the U. S. Geological Survey until October, 2014. There were less than 50 of these elite ST scientists in the USGS, several now retired. Before the USGS, he was an Associate Research Professor at the University of Hawaii. Dr. Clark is now a senior scientist with the Planetary Science Institute. Dr. Clark is a science team member on the Cassini mission to Saturn, Visual and Infrared Mapping Spectrometer (VIMS) http://wwwvims.lpl.arizona.edu, a Co-Investigator on the Mars Reconnaissance Orbiter, Compact Reconnaissance Imaging Spectrometer for Mars (CRISM) team, which is currently orbiting Mars, and a Co-Investigator on the Moon Mineral Mapper (M3) http://www.jpl.nasa.gov/missions/moon-mineralogy-mapper-m3/, https://en.wikipedia.org/wiki/Moon_Mineralogy_Mapper on the Indian Chandrayaan-1 mission which orbited the moon (November, 2008 - August, 2009). He was also a Co-Investigator on the Thermal Emission Spectrometer (TES) http://tes.asu.edu team on the Mars Global Surveyor, 1997-2006. Dr. Roger Clark is a Co-Investigator on the NASA Europa Mission, Mapping Imaging Spectrometer for Europa (MISE), announced May 26, 2015, planned launch is 2022. This instrument will probe the composition of Europa, identifying and mapping the distributions of organics, salts, acid hydrates, water ice phases, and other materials to determine the habitability of the ocean beneath the ice on Europa. Dr. Clark is also a Co-Investigator on the NASA Earth Surface Mineral Dust Source Investigation (EMIT) imaging spectrometer instrument that will go on the International Space Station in 2021. EMIT will determine the mineral composition of natural sources that produce dust aerosols around the world. By measuring in detail which minerals make up the dust, EMIT will help to answer the essential question of whether this type of aerosol warms or cools the atmosphere. NASA Press Release. On the NASA Cassini mission at Saturn, Dr. Clark represents the VIMS team on the Satellite Observation Science Team (SOST). The SOST is an international team of scientists which sets the spacecraft targeting for all observations of Saturn's icy satellites (all satellites except Titan). Once targeting has been agreed to and the spacecraft pointing designs are complete, Roger sets the framing and exposures for the VIMS instrument for most icy satellite images. This involves determining the framing composition, exposure times and when to start the exposure, with timing to the second, years in advance. Roger also serves on the VIMS sequence review team, one of eight scientists, who review all VIMS observations, including image framing and exposure times for Saturn, the rings, satellites, stars, the sun and other objects observed by Cassini. To set exposure times years in advance requires an understanding of light and how it reflects from objects (including phase angle effects). Cassini ended its orbital tour in September, 2017, and the data returned is undergoing analysis. Roger chairs the spectral calibration group for the Cassini VIMS instrument. This group monitors the calibration of the spectral position of all 352 channels from the ultraviolet to the infrared (note consumer digital cameras have only 3 channels: red, green and blue). In addition to spectral calibration, Roger works to refine the intensity calibration of all 352 channels in the VIMS instrument, refining the calibration as additional mission data are received. Dr. Clark served on the National Academy of Sciences, Space Studies Board, Committee on Planetary and Lunar Exploration (COMPLEX) 2006 - December 2008. He was a subject matter expert in the 2016 White House Office of Science and Technology Policy (OSTP) Earth Observations Assessment (EOA), to help OSTP better understand the effect that Earth-observing systems have on national objectives. Roger's work involves scientific imaging of the Earth and planets. 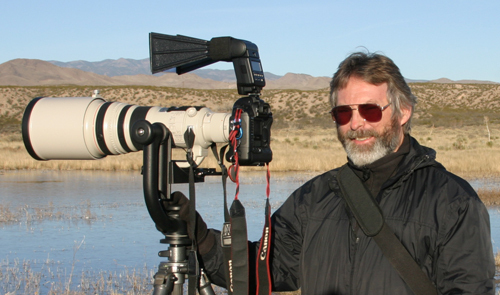 He has over 40 years of professional digital imaging experience. 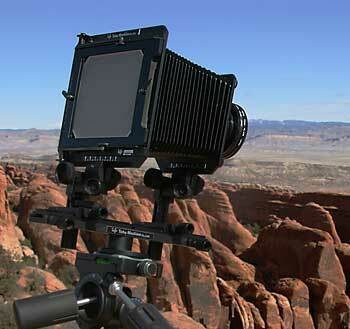 He applies technical knowledge from his scientific research to photography as an art form. Roger captures the beauty of the Earth and the night sky with photography and through drawings of celestial wonders. His photography ranges from 35mm through large format film (4x5 and 8x10 cameras), and digital imaging, including using DSLRs and digital imaging systems on aircraft and spacecraft to image the Earth, planets, moons and other subjects in the solar system, as well as stars and other deep space objects. Roger's images have appeared in scientific publications, popular articles, books, magazines, calendars, Astronomy Picture of the Day, NASA press releases, newspapers and newsletters. His images have won national and international photo competitions and have been on display in fine art galleries. Roger's professional imaging ranges from the ultra small macro to the largest structures in the Solar System and beyond, and from the deep ultraviolet to the far infrared. At one extreme, Roger's imaging includes macro photography using DSLRs, macro lenses and microscopes, and at the highest magnifications, scanning electron microscopes to image nanometer-sized structures. Professional digital and film imaging of our natural world is done with a variety of cameras, most recently with traditional DSLRs, and scientific cameras with subjects ranging from scenery, wildlife, vegetation, and other subjects such as ancient rock art (e.g. to determine age, degradation, and composition). Roger's high-end digital imaging studies include imaging the Earth from aircraft and spacecraft and the planets from spacecraft and professional telescopes at the world's major observatories. He uses advanced cameras including systems with more than 350 colors from the ultraviolet to infrared (the traditional film or consumer digital cameras have only 3 colors: red, green and blue). Roger's expertise includes a detailed understanding of light, the color of light, its direction, and its interactions with solids, liquids and gases in the natural world. Using advanced sensors requires the need for advanced software. Dr. Clark has developed numerous advanced spectral and image analysis systems, many tens of thousands of lines of code, often developing new algorithms. Software development ranges from sensor analyses systems, calibration software, to scientific analysis, modeling, and radiative transfer theory. As an "amateur" astronomer, Roger has been an avid deep-sky observer, sketching hundreds of galaxies, nebulae, and star clusters. He has researched the human eye and how the eye and brain function in low light conditions. This research led to the book, Visual Astronomy of the Deep Sky, published in 1990 (Sky Publishing and Cambridge University Press), which advanced amateur astronomer's knowledge of how best to observe the the night sky with a telescope. H-index = 82 (Mar. 2019). What is the Hirsch citation index (h-index)? All views and discussions on this website are those of Roger N. Clark and other members of the ClarkVision.com family and these writings do not necessarily reflect the views of their employers, nor is any such endorsement implied.